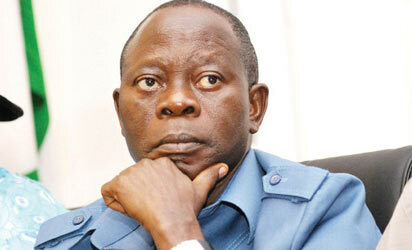 The challenges facing the ruling All Progressives Congress (APC) came to the fore last Tuesday when the aspirant for the position of the national chairmanship of the party and former governor of Edo State, Comrade Adams Oshiomhole, visited the APC Caucus in the Senate to solicit their support ahead of the national convention of the party. It was an opportunity for the senators to bare their minds on the happenings in the APC and it was so touching as the lawmakers lamented how bad things had become. The presence of the entire leadership of the Senate at the meeting with Oshiomhole shows how important that meeting was to them. And some of us who are sympathetic to the APC were happy because, from the closed door meeting, which lasted over one hour, it was learnt that the senators were not keen to leaving the party. All they want is to be given a sense of belonging. That meeting has given hope to majority of the lawmakers of the party who equally see the coming of Oshiomhole as the solution that the APC needs. And to show the acceptability of Oshiomhole by the APC senators, Senate President Bukola Saraki, who warmly welcomed Oshiomhole to the National Assembly, noted that majority of the lawmakers were optimistic that Oshiomhole had capacity to lead the party at this point in time. While addressing the senators, Oshiomhole touched on the burning issues in the party to the admiration of the lawmakers, stressing that the current disagreement in the party could be resolved when all parties come to the table with open minds for discussion. He said: “Today I have come not only to solicit for your support but to also say that I dream of a political party where everybody will have that sense of pride and even the sense of ownership. I believe that the very part of our being a democratic voluntary organization, which a political party represents, means that the basis for coexistence has to be mutual respect. I believe that part of the challenges we had which are no secret is that the various organs of the party have not functioned in a manner that was anticipated. And I believe that without those organs functioning, we are just a collection of individuals, who can speak to a party when party members at various levels meet, debate and agree on a particular direction and that agreement becomes the party’s position . And when we now speak on issue of party supremacy, it is in the context of a decision that we democratically arrived at in which members of the party, from the President to the Senate, Reps, to governors and everyone are expected to abide by that decision because they are our own decisions. So I am convinced Mr President, by my background, as someone who has been victim of power, both economic power and political power which pushed me into unionism and someone who has grown to become a governor, I never oppressed any one, I think I have passed through all the stages and I am fairly informed about the challenges of governors and the challenges of a political party”. He told the senators that, given the opportunity to chair the APC, there were things that must be done differently. “We cannot dream of a party in which there are no disagreements. If we have one in which there are no disagreements, it means the party is not democratic. Even in the military there is disagreement and agreement. So in a genuine democracy no body is seen to get everything that he wants but everybody can get everything that we are able to negotiate. And the driver of this process has to be compromise”, Oshiomole said “Nobody has the monopoly and no body is bereft of ideas. And I believe that if we approach issues with open mind with open mind we can do business. Even at this hour that a lot of party members have issues here and there, I am confident that working with the leadership of the Senate with open mind, with commitment to fairness and justice and courage to speak the truth at all times, all of these issues can be resolved”. Watching Oshiomhole say all these gave me hope that the APC is back after the problems that plagued the party in the just concluded congresses in some states. And like he said, I believe that, with sincerity of purpose and spirit of sportsmanship, the crisis rocking the ruling party will be over soon.